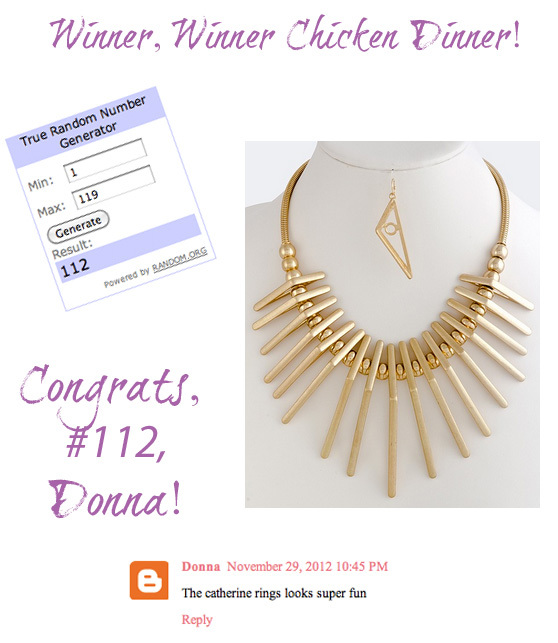 The Peak of Très Chic: Winner Time! Happy Sunday! Temperatures in Houston are in the 80s today. It's so hot for this time of year that it's become comical. Never have I celebrated my November 30th birthday in a tank top and a skirt, but that happened this year. 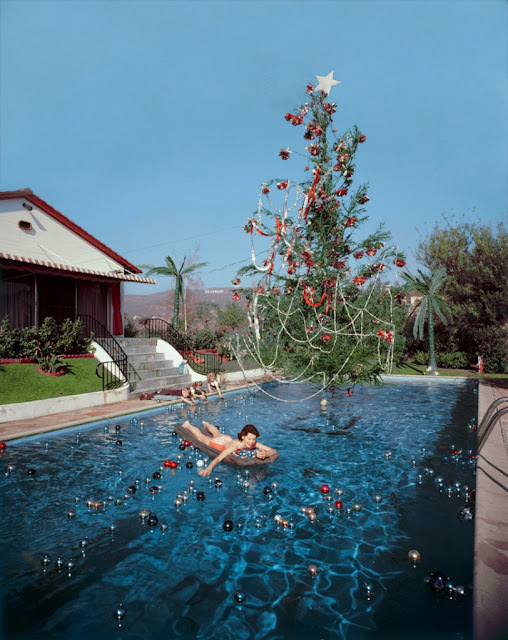 I think we'll be having a Slim Aarons Christmas this year... celebrating poolside. Thank you all for your entries, and to Erin for hosting the giveaway. I have a few wonderful giveaways planned for December and January from Lulu & Georgia and The Aestate. So if you didn't win this time, stay tuned! Enjoy the rest of your weekend. I can't wait to get back to Texas for this weather, I would be quite alright with a poolside christmas! that picture looks like an amazing way to spend the holidays about now. I am over winter and it hasn't even started! Wow. Gorgeous necklace. Congrats to the winner. Can we switch places for a bit? I want warm weather!!!! & happy belated birthday to you love!